Nature Prince Albert brings together those interested in ecological landscapes and their inhabitants. Common topics encompass the many elements of wildlife (mammals, birds, insects, amphibians, and reptiles) and plant life. Natural areas and human influences on natural areas are a shared concern. The goal of Nature Prince Albert is to encourage an interest in, and an understanding of, conservation and the protection of all things natural. This is accomplished through field trips, presentations from experts, community projects and sharing observations and experiences with like-minded individuals. 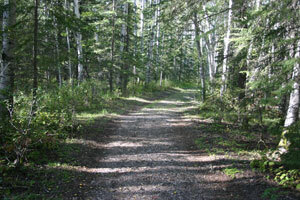 Nature Prince Albert is a non-profit organization first founded in 1914 and active on a continual basis since 1954. The title Prince Albert Natural History Society was changed to Nature Prince Albert to be in line with other provincial societies and Nature Saskatchewan (Saskatchewan Natural History Society). Nature Prince Albert is one of 12 provincial societies affiliated with Nature Saskatchewan and the Canadian Nature Federation.